The world, put together in paper scraps, is unbelievable in its artistry and function. Tearaway’s paper water and ripples as you walk through it are more impressive than any realistic water graphics I’ve ever seen. The level of unique detail in the world is staggering. Every moment spent immersed in it is heartwarming. Fittingly, it feels positively handcrafted. Tearaway really is the game Vita has been crying out for. It feels like a bridge between indie and traditional, super-polished AAA game design, something reinforced by both the length of the story and the price. There’s genuine charm and ingenuity here, and my only real criticism is that I want more of it. So will you, when you put yourself in the centre of Tearaway’s magical world. Tearaway follows in the footsteps of Gravity Rush as an example of why you should own a Vita. While it isn’t always perfect as a game, it’s an amazing experience, providing an exciting and emotional journey through a world of beauty and personality. At six to seven hours, Tearaway isn’t the longest game in Vita’s library, but it packs in more joyfully realised ideas than many games manage in three or four times the runtime. It’s a beautiful, brilliant game, but it’s more than that: it’s the first great Vita game... It’s a game that refixes Media Molecule as the misshapen jewel in Sony’s wonkily sketched crown, one that shows immersion isn’t about story or spectacle but the simple pleasure of play. Tearaway is the perfect launch title, though it missed the launch by two years. Just about every Vita feature is fully utilized and combined they offer a unique and engaging adventure. Unfortunately, the adventure is quite short and the replayablity isn’t there. Once you finish the game and find all the collectibles, the only choices are to start over or move onto the next game. This isn’t to say you shouldn’t experience Tearaway, but you might want to wait until it drops in price to do it. With its innovative and creative aspects, Tearaway shows how the PS Vita can go beyond the mere touch screen and fully utilize its functions. Moreover, not only is Tearaway a quirky platformer, it’s an interactive world that players ‘tear’ into and are a part of. Whether it’s the story, visuals, or sounds, Tearaway has proven to be an extraordinary game indeed and is definitely a title PS Vita owners should consider picking up. Tearaway is a rare breed, the kind of game that was engineered to be supremely easy to fall in love with. It's not just the inherent charm of its paper world, its infinitely catchy folk-electronic soundtrack or its cast of quirky characters. It's the way the game involves you at every turn — the way the world moves when you touch it. I never felt like I was beating Tearaway as much as collaborating with it. From cover to cover, Tearway is an engrossing, spellbinding experience. It makes full use of the platform – and not with a buffet of pointless gimmicks – and does so with an unswerving focus on quality. A lot of effort has clearly gone into making Tearaway a standout game, regardless of platform. ...Sure it’s a smaller title that might not appeal to a wide market, but there’s plenty to see and do here.... As already mentioned, Tearaway won’t empower you to build worlds or recreate your favourite games a la LittleBigPlanet, but it does offer a more low-key, personal approach to creativity. Though this review has made a point to ensure the reader is aware of Tearaway’s flaws, the positive aspects of Tearaway far outshine its shadow. 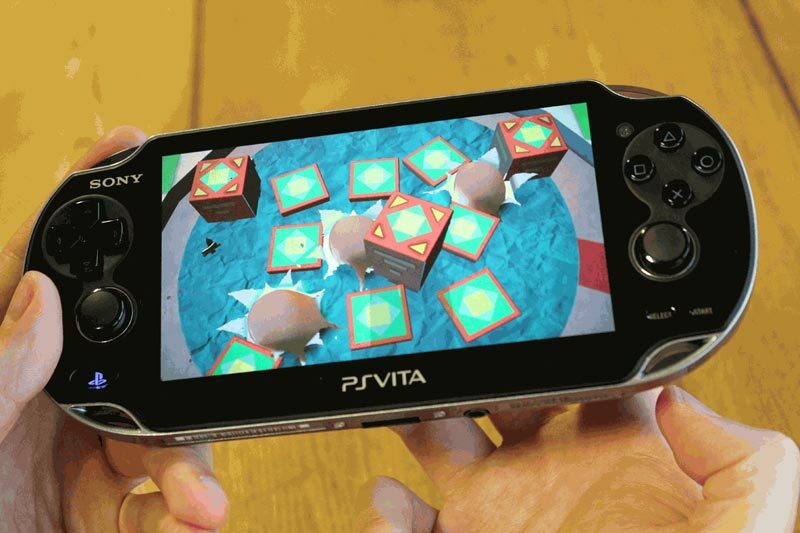 The excellent integration of the Vita’s features into its gameplay, the way Tearaway reaches out to the player, the charming and well-developed world, the use of imagination in a medium where imagination is a precious and often forgotten thing – these factors stand above the negative to create an experience you should play at least once. For fans of portable gaming, the Vita or even just a good platformer, Tearaway is a must have. It mixes up traditional gameplay by adding some new elements but where Tearaway shines most is in the presentation and design areas. Many games have used the cameras on the latest generation of portables to “put you in the game” but nothing does that task quite as successfully as Tearway, which is a love letter to the Vita’s unique features and uses them expertly to create a game that rises above other creative platformers of its ilk. Whether it was a riding a pig towards the sunset or playing basketball with a super-powered accordion, it never failed to make me smile. It sincerely believes that imagination really is the most important faculty, and in turn, succeeded in transporting me back to a time when I built strange worlds equipped with nothing but crayons and card. It does this by using every aspect of the Vita, crafting an experience that I can’t imagine being realised elsewhere. It might be short, but it’s very special. Please come back soon, Iota. The addition of the Tearaway.me content is also a great bonus and should give fans plenty to do after they’ve put down their Vitas. If nothing else, it fosters some time together with loved ones (or liked ones), to sit down for a few hours of arts and crafts. If you’ve got a PlayStation Vita, Tearaway is a must-have! 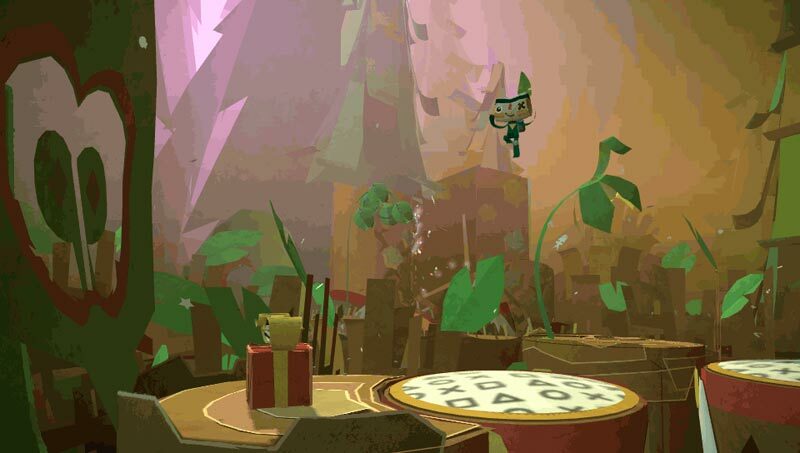 The world of Tearaway is one you’ll want to soak in until your battery dies. That said, the story is sweet, but the story is short, and the game can be finished in a few sittings. ... Tearaway is an instant classic and should scratch all your Vita itches. Your only regret will be that there isn’t more of it to enjoy. 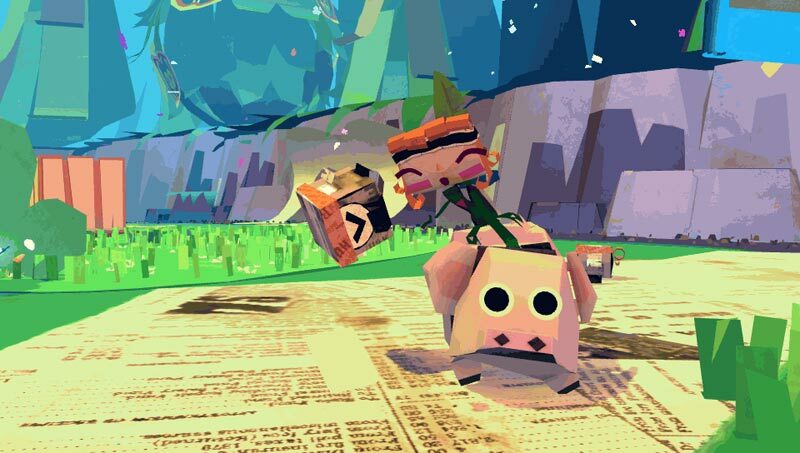 Tearaway is cheerful, clever, and colorful, but never quite attains the masterful blend of art and gameplay exhibited by developer Media Molecule's previous efforts, the LittleBigPlanet games. It's crammed full of wonderful ideas that can't quite compete with a control scheme that – apologies – looks good on paper but doesn't work well in practice. 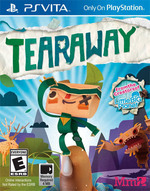 Tearaway has a big heart ... if only your fingers didn't keep getting in the way. It's a game that invites you to simply enjoy the journey, and the fact that the myriad side objectives are left for you to discover - rather than being highlighted on a map, or pointed towards by a pushy NPC - only spur you into seeking them out. The wonderfully off-kilter soundtrack that accompanies you on your travels is further encouragement to go off and explore at your own pace. A gorgeous, inventive adventure, Tearaway isn't just Vita's best new game, it's one of the most original things you'll play all year. It’s a game of true brilliance, that will astound more or less every single person who experiences it. It’s my favourite game this year, and I just hope the launch of the PS4 doesn’t hurt sales. Buy it, love it and more importantly embrace it! The most creative and innovative game I’ve played in over a decade, Tearaway is a game every Vita owner should have, and is pretty close to complete perfection. The view is spectacular, and over at just the right time. Games can outstay their welcome, and the best leave us wanting more, wishing to see one more stage. Tearway is a video game that happens to be about video games, as well. It's about you, the player, and it's about the people who make them, too. To say much more would unravel the touching, passionate message behind Tearaway, especially its remarkable ending, but the game leaves you in the same way it greets you: with a smile. Be warned, though, that even when you follow the instructions, some of these are incredibly tricky propositions, but if you've got the patience, it's worth the effort to take the theme of connecting worlds to that next step. The fact that it's so tempting to spend time creating these paper models is a testament to how appealing and attractive Tearaway is. It's just a shame that one of the Vita's best experiences feels as long as a piece of paper is thick. Tearaway packs charm and ingenuity into every pixelated pulp. You’ll bounce along to its perky soundtrack, fall in love with the way its ocean waves — as rolls of white paper — break on the shores, and smile when you see just how personal the ending is. I left Tearaway feeling happy and content. What more could you ask for? Sure, it’s short and there’s probably not all that much to go back to unless you fancy hunting down every last shred of confetti, but regardless, this is one game you can’t afford to miss out on. 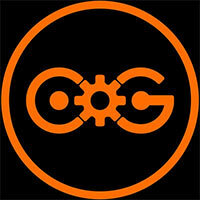 Media Molecule may have left SackBoy behind, but here’s hoping they’ve just spawned a new franchise. Tearaway is a brilliant mix of creativity, stunning visuals and joyous platforming. 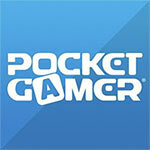 Make no mistake - this is PS Vita's must-have game. Tearaway has been a long time in coming. Its features, when first announced, sounded too good to be true. Now that they’re actually here, and they’ve outdone themselves, both with better-than-expected performance and some additional, completely unexpected elements. It’s both a pity and a joy that Tearaway was released for the much-reviled and uncommonly-owned PS Vita, because the 3DS certainly wouldn’t be able to deliver the same experience. Once it begins to build to a monumental crescendo in the final third, it will consistently amaze until the beautiful final scene, which is delivered with such delicacy that it makes for one of the most memorable story endings of the year. Tearaway is a beautiful title. It represents the importance of stories, manages to create friendships, and is capable of exciting and entertaining regardless of its simplicity. Tearaway has squirrels. Fat, papercraft squirrels who are periodically rather cruel to passing gophers. It also has charm, cleverness and enough heart to make up for five Call of Duty iterations. Tearaway is a 3D platformer mashed together with a creative craft class for adult kids, an adventure that is as close to sandbox-y as a non-sandbox game can get. Tearaway is a handheld masterpiece, and a shining example of how unique hardware features should be handled. Its short running time is mostly overshadowed by its compelling mix of platforming, combat, and personalisation – a brilliantly crafted gameplay combination that'll keep you glued to the wonderful world that Media Molecule has created. This papercraft adventure is easily one of the best that you'll unfold on Sony's portable system. In a game bursting with invention, Tearaway’s head-jumping kills feel uninspired and unsatisfying, and a predictable array of foes does little to alleviate that. Good job combat’s something of a rare occurrence, then. All Vita’s unique control aspects are exploited brilliantly within another beguiling Media Molecule universe. Tearaway is a system seller in the genuine sense of that term: you cannot get this kind of game on any other device, and it's worth buying a Vita just to experience it. Utterly phenomenal. Tearaway is inventive and joyous in equal measures, making for one of the best adventures this year, on any platform. It's not a long game, but for every section of simple platforming there's a moment of pure creative delight that leaves most other games looking stuffy and sterile, locked away behind their joypads and glass, away from your prodding, inquisitive fingers. Tearaway's tactile world may be no more real, but while you're under its spell it certainly doesn't feel that way. This is the game the PS Vita has been waiting for. A truly unique platformer crammed with so much creativity, innovation and personalisation. Use all of the PS Vita's functions and make your own mark on Tearaway's rich and colourful, paper-crafted world. The game is great at constantly giving you new abilities to experiment with, but all in all Tearaway, while very special, is a fairly short-lived handheld adventure.Tearaway is beautiful, well designed, fun to play and has managed to preserve the childish joy of creation in its design. For a PlayStation Vita owner, this is a must buy. Tearaway feels like a launch title created specifically to show off a new platform’s abilities. It’s both a show- and play-piece that draws you into the adventure by association. No two players will ever see the same designs for certain parts. I have yellow snowflakes while you might have green. My quilt pattern is wandering the paper meadows, grazing on paper grass. That alone is quite magical. Colourful and inventive aesthetic. Endearing characters and writing. Platforming is solid for the most part. Fantastic, entertaining score. Molecule's shift to the third-person has resulted in a mixed bag - the eye-popping visual style and the story's characteristic earnestness are tempered by clumsy platforming and thematic overcomplication. Tearaway is a very good platformer, but greatness is just out of reach. Tearaway es toda una experiencia. Un plataformas en la forma, pero en realidad un mundo personalizable en el fondo. Es una travesía con pocas horas y escasa dificultad, pero que sólo por el viaje papirofléxico que nos propone ya merece la pena. Ideal para jugadores de mente abierta dispuestos a entrar en un entorno tan desconocido como encantador. Puede que no venda consolas, pero aporta una personalidad incontestable al catálogo de PlayStation Vita. Playstation Vita necesita argumentos en forma de juegos para convencernos. Es obvio que existen algunos pequeños detalles que pueden resultar molestos y empañar levemente para alguno el conjunto de una obra prácticamente redonda. Pero, si existe una razón que justifique la compra de una Vita, o un motivo porque el que los que ya la tienen deben de ir raudos a la tienda y pueden sacar pecho por ella a partir de ahora ese es, sin duda, Tearaway. Se ha desarrollado un juego teniendo en cuenta el diseño de PS Vita y no al contrario. Es esta una aventura de altos vuelos que justifica la adquisición de la consola por su peculiar puesta en escena, por la riqueza de su contenido y por la constante insistencia en dar al jugador libertad para decidir algunos rasgos de la partida. Natürlich ist Tearaways Tiefgang wie auch im Rest von Media Moleculs Werk weniger spielerischer als emotionaler Natur. Wer jedoch nur einen Blick auf das unendliche Grinsen oben am Firmament dieser fransigen, vollfarbenen Welt wirft, der weiß, was am Ende wichtiger ist. Und wo sonst darf ich mit Eichhörnchen Volleyball spielen? Ja, mitunter passiert lange nichts, in den Kämpfen gegen Pappkartons kann mir nichts passieren und das Basteln erfüllt meist nur einen kurzen Selbstzweck. Das macht Tearaway allerdings mit so viel Witz und Einfallsreichtum wett, dass ich sowohl als Zuschauer als auch als Spieler immer wieder mit mächtig breiten Mundwinkeln in diese Welt hinein grinse. 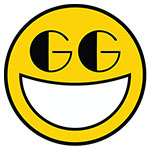 Visuellement réussi, le jeu offre également un gameplay d’une grande fraîcheur où l’interaction entre le personnage et le joueur est placée au cœur de l’action. Certes, certains passages manquent de précision, le tactile ne répond pas toujours du tac au tac et la caméra peut se montrer capricieuse, mais le jeu fourmille tellement d’idées nouvelles qu’on fait aisément abstraction de ces défauts. Une vraie bouffée d’air frais que ce Tearaway. C'est en fin de compte la plus belle révélation d'une Vita qui commence doucement mais surement à décoller après des débuts chahutés. Magnifique et surprenante de bout en bout, la nouvelle création de Media Molecule est indéniablement l'éclair de génie venu frapper la fin d'année de manière aussi délicate qu'une lettre d'amour aux inventeurs d'histoires de tout bord. Et même si par hasard la communauté ne suit pas, il restera toujours aussi unique, touchant et entier pendant des années dans la tête bien faite des esprits curieux. L'ensemble des fonctionnalités de la machine sont mises à contribution pour déployer ces trésors d'ingéniosité, tout spécialement les surfaces tactiles qui suscitent des manipulations littéralement renversantes. ...Cette passerelle engendre des interactions d'un monde à l'autre, brouillant un peu plus la frontière entre le réel et le virtuel. Media Molécule signe ainsi une oeuvre certes moins massive que LittleBigPlanet, mais encore plus personnelle. É o seu expoente máximo na atualidade, um produto digno de louvor independente da plataforma. É um pequeno grande feito de engenho e criatividade que o estúdio Media Molecule conseguiu, que apesar de algumas falhas é um produto de excelente qualidade que vai figurar entre os melhores. Façam um favor a vocês próprios, comprem Tearaway. A vossa Vita precisa dele, vocês precisam dele. 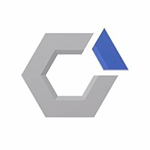 In attesa di scoprire cos'ha in serbo per noi Media Molecule per il futuro, godiamoci questa piccola perla consigliabile non solo agli amanti delle avventure e dei platform, ma anche a coloro che prediligano sparatutto e titoli d'azione. 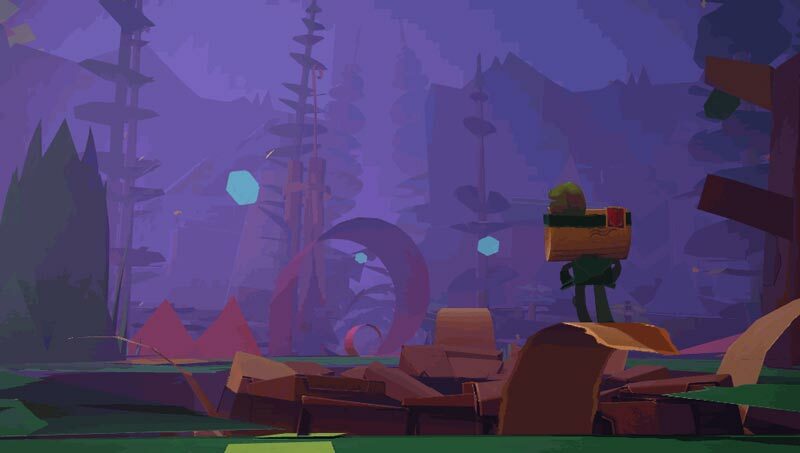 Perché nell'incredibile mondo di Tearaway c'è bisogno di tutti. 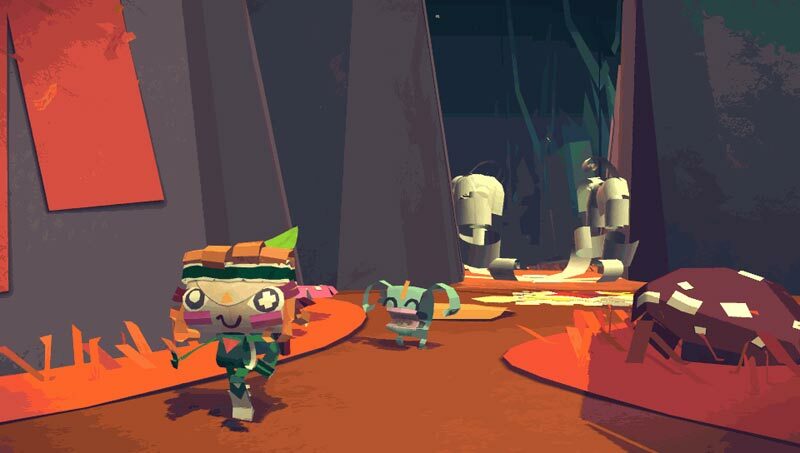 Tearaway è un capolavoro cartaceo dalle mille risorse ludiche e interattive, è un'adorabile favola meta-referenziale e il gioco perfetto per PlayStation Vita. Un gioco in grado di sfruttare in maniera naturale e assai sublime tutte le caratteristiche tecnologiche della console di Sony, senza forzature o scomodità di sorta. È una favola toccante, che non appena giungerà ai titoli di coda, magari, vi porterà anche a riflettere sulla vita: cosa non da poco, di questi tempi. Al met al is Tearaway een titel die zich niet laat uitleggen in een zin. De PS Vita game is eigenlijk een mix van platformen, puzzelen en vijanden verslaan. Bij al die drie punten is creativiteit het toverwoord. Want de hele game ben je creatief aan het doen met papier: vormen maken, veranderen, dingen tekenen en daarvan foto's maken. Dat is Tearway in een notendop. De besturing werkt niet geheel vlekkeloos, maar LittleBigPlanet heeft er zeker een noemenswaardig broertje bij gekregen. Med det sagt så går det inte att neka Tearaways genialitet. Brittiska Media Molecule har skapat ett helyllemysigt plattformsäventyr som lyckats smälta mitt hjärta. De har skapat ett plattformsspel som, tack vare Playstation Vita, förvandlats till ett av de senare årens absolut bästa. Det är en förtjusande saga, en unik upplevelse, och sann spelglädje för alla som vill ta en paus från verkligheten.